We specialize in drainage and waterproofing applications. 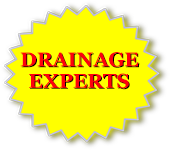 Don’t let an interior waterproofing company tell you that you need an interior French drain and sump pump. Sometimes this is the answer but not always! Call us for a professional second opinion. Our goal is to stop the water from getting to your house rather than pumping it out of your house!